It all started in a sixteenth-century library in Romania, during one frigid winter. In East Europe, libraries are the perfect shelters from the cold and the world. It’s safe to say, it was in this library that I passed suddenly and passively into a state of mind similar to bliss with books by Eminescu, Arghezi, even some early Eliade. Dickens, Hugo, and Dostoyevsky followed. I would have happily taken up residence in the old building, even tolerated the mice at night, if left alone with my books. The writing came later. I had never planned to be a writer, but the reading led to inspiration, and ideas willed the pen into my hand. A high school teacher liked my essay on Eminescu’s “Evening Star,” so I wrote another one, followed by a short story that would have given me no peace had it not found its way onto paper. I moved to the U.S. in 1992 to finish my studies, and started writing in English, a beautiful challenge. The world of fiction writing continues to provide a great counterbalance to the legal research and document drafting I tackle for a paycheck in a law office. Today, I live in sunny California where the reading and writing continues. Although far from the harsh winters of the Balkans, I sometimes miss the old library in Romania. Thank you so much, Cheeni! I’m honored, as I’m somewhat new to blogging. Will go to the site and take it from there. I am astounded that English is not your native tongue, as you write so well. I know well how a childhood of reading can lead to an adulthood in writing. Thank you, Lisa. That’s nice of you to say. I probably edit more than the native speaker/writer, but I love to write so there is no other option. I’m Italian and I moved in Dublin 6 years ago and I started to write in English as well! I’m moved to meet another person who did it! Thanks! Thank you, Franny. It’s quite the challenge, isn’t it? And so great when the words flow. It does but still it’s difficult when you receive comments from other writers like “Everything is good. You have the story, your characters are great and you create a nice conflict, but the grammar….no editor will read it with the grammar like this!” It is frustrating. I write as more as I can, I read in English, I work in a tourist attraction and I need English there…I don’t know what I should do more. And sometimes, I feel like I will never make it! Any suggestion? Keep writing, keep plugging away. I read stories written by native speakers, and they have grammar issues. No one is without short comings. If you have a friend who is grammar savvy, ask if they’d critique your work … I learn a lot from critiques. Finally, have the manuscript looked at by a private editor (that can be expensive, so maybe only the first few chs. and take it from there). Whatever you do, don’t stop writing. Writing in English will become second nature given the chance. I still struggle sometimes. Oh my, I can’t believe I didn’t comment here. I just adore your style of writing. Great seeing you in the A-Z Challenge! Your blog is wonderful! Thanks for visiting mine; if you hadn’t, I may never have discovered your writing – and I’m glad for it! Thanks for taking the time, Aaron. Appreciate the kind words. Hello again, Sylvia. I read one of your short stories and I liked it. You write with heart. Coincidently, that story is An Affair of the Heart. Thanks so much, Evy. I appreciate the kind words, and am glad to read you enjoyed the story. Hope you return for more visits. Thanks for visiting my blog – I’m now looking forward to learning about Romania from yours. And as a librarian, I’m so happy at the role libraries have played in your life! Thank you so much, Anabel. Librarians are some of my favorite people in the world right up there with teachers. Appreciate your kind words, and am looking forward to many more return visits to your blog. Thank you for stopping by my blog. I have been fascinated by Romania ever since I heard Enescu’s music. Years later, a friend of mine married a Romanian woman who teaches French in Southern California. And now your blog. Your pictures and your writing remind me that I have yet to visit that country. Made it as far as Hungary one time. Thanks for inspiring me to put Romania at the top of my bucket list. Thanks so much, Geri. I appreciate the kind words. Let me know if you decide to go, and I will give you my take as to where and how. Your blog followers reflect a multi-cultural mix, judging from the comments above. I believe your early life in Romania has given a colorful, luminous quality to your writing, tinged with the warm sun of California. 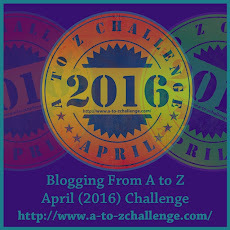 I have read the posts of several writers who have done the A to Z blog challenge. Yours is by far the most eloquent. I’m glad we found one another via the lovely Susan Scott today. Marian, my deep and humble thanks. Your storys end seem similar to mine though :) Glad to find your site and Good going. Thank you so much. Happy to have you visit. Thank you so much. I’ve already received the Liebster Award, but I do thank you for thinking of me. And, let’s just stack on the awards here — I nominated you for the “Very Inspiring Blogger Award” as well! Yeah… Love these awards but they so very much are like chain-letters. Do what you will with it (especially since you’ve already received it from somewhere else!) Post, or not, I just wanted to let you know I appreciate your blog, and your support on mine! Than you so much. Yes, I have had the pleasure of receiving it before, but you know, I really appreciate it when blogger friends think of my blog and all the kind words of encouragement. Love all my nominations. Thanks! 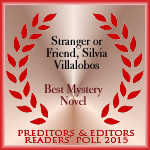 Thanks for checking out my blog Silvia – I appreciate it! Silvia…your personal story is amazing and lovely full of great memories, I like your style , you inspire me. Thank you! Ah the contrast between frail winters in Romania and sunny days in California! Do you get to go back home often? Nice to know we hail from the same part of the world. We go back every few years, not as often as I would like, because as you said, it’s a long way from Southern California. We drove through Bulgaria (though I forget which part exactly) many years back on our way to Istanbul. Beautiful country. Yes. Bucharest in nice in the downtown area, but the rest leaves a lot to be desired. However Transylvania is the place to go, Brasov, Poiana Brasov, anywhere in the mountain area, but especially Brasov, Predeal, Sinaia. And, of course, the Black Sea is nice. Romanian has changed a lot over the years, and not for the best. Silvia, I am eagerly beginning to know of your talents and the many avenues of experiences you have had in your travels, also how you express your thoughts and feelings through writing and pictures. I have started reading STRANGER OR FRIEND on my Amazon Kindle, and the very first pages show a rich way of your thinking, expressing, and planning what this book will continue to reveal. You seem to know how the reader feels and how to orchestrate excitement. Thank you for the very kind words, Joseph. It’s a long road, this writing passion.